The September 2013 Great Oklahoma Classic belongs to Jeff Huffman of Stillwater, Oklahoma. On this very warm September day we met up with Jeff at the Annual Downtown Stillwater Car Show. 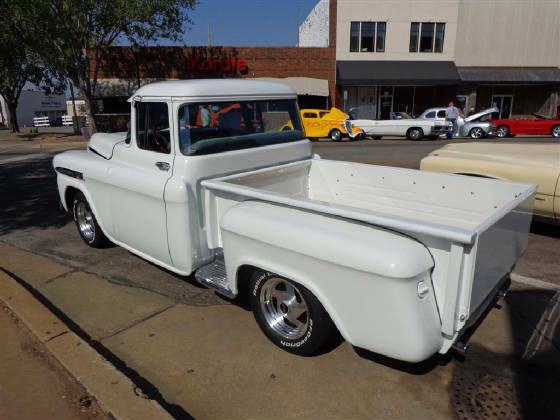 This outstanding 1959 Chevrolet Apache was bought new in Beloit Kansas from Fuller Chevrolet by Jeff’s grandfather, Hooley Huffman. Hooley passed away in 1964 and the Apache was handed down to Jeff’s father. Jeff’s family was farming in north central Kansas and the Apache was used as a tool for farming from day one. The old Chevy hauled fuel, tools, hay, feed and anything else that was needed in the operation of their farm. In the early 70’s the old truck was put to rest in a field as happens to so many farming tools when they are used up. In the late 80’s Jeff and his father decided to bring the Apache back to life. During the restoration process the old truck was kept stock but Jeff and his dad added a few touches to make it a little more fun! 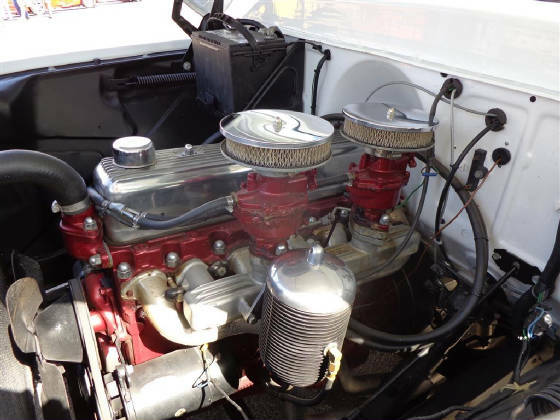 The original 235 cubic inch inline six cylinder engine was rebuilt but a dual carburetor manifold was added along with HEI ignition and a split manifold for a dual exhaust system. They moved the fuel tank from the cab to the between the frame rails in the rear. 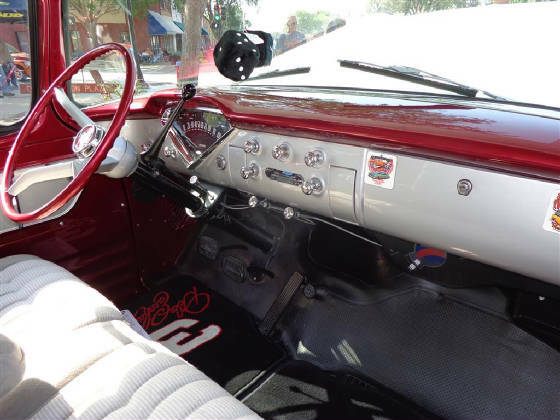 The Huffmans kept the original three speed column shift transmission in the classic. The old warn out wooden bed flooring was replaced with a custom wood floor. 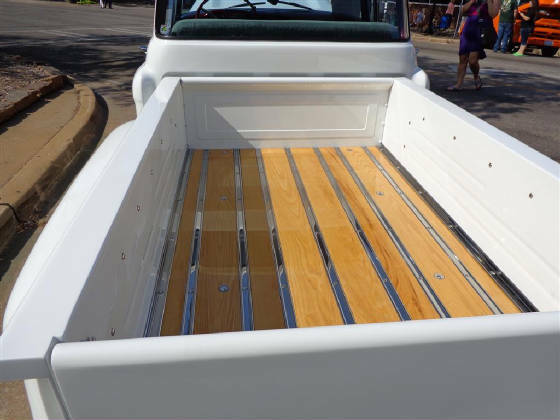 The interior was customized just a bit by adding a seat from a 1988 Chevy pickup. Jeff and his father left the rest of the interior stock for that classic look. You will hardly notice the AM/FM stereo unit in the stock looking dash. You cannot help but notice the mixture of candy red, silver, black and chrome, that makes one smile when looking at this wonderful interior. 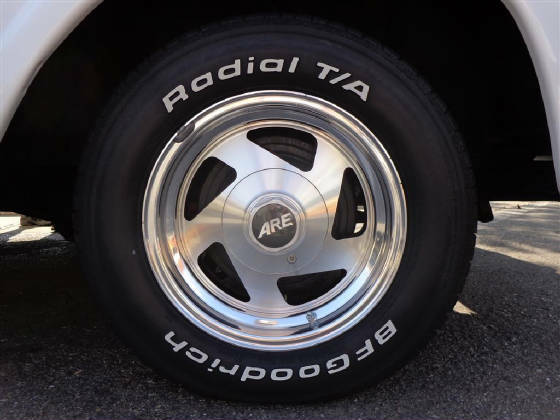 This classic Chevy rides on a set of P235/60R/15 B F Goodrich T/A Radial tires mounted to custom ARE wheels. 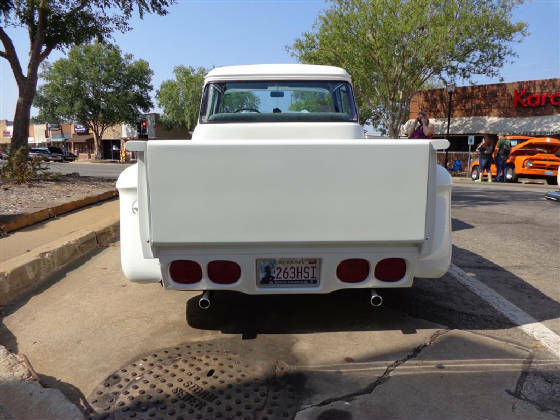 To give their truck a personal touch, Jeff and his dad gave the Apache a custom roll pan and tailgate which adds a very classy look to the back of the truck. Notice the gasoline filler cap on the left rear fender. Looks like a factory application! Jeff’s father passed away in 2009. 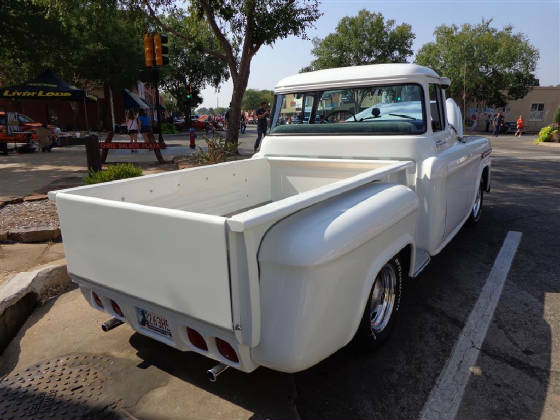 Jeff continues to think of his dad and grandfather and their legacy each time he shares the classic truck in local and area show. 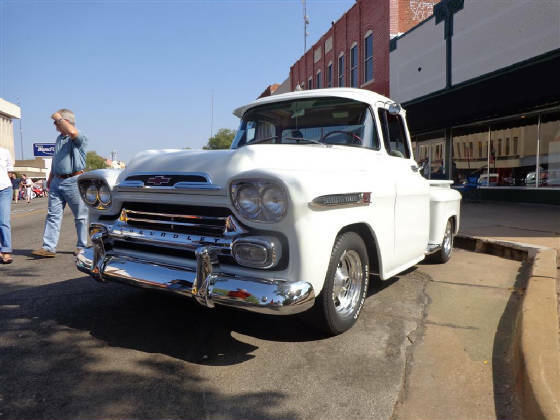 This classic Chevrolet Truck is truly a Huffman family heir loom. The truck has been shown in Iowa, Nebraska, Kansas, Missouri and now in Oklahoma. 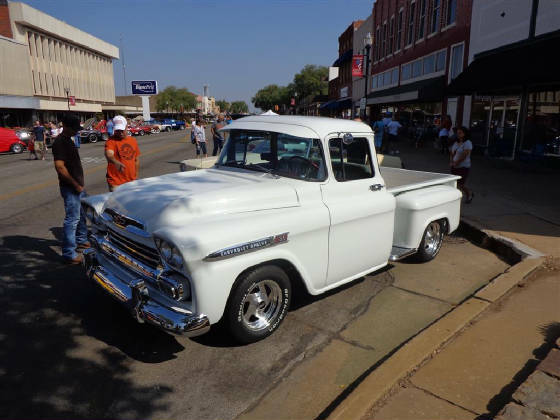 The Cimarron Starlite Cruisers sincerely appreciate Jeff Huffman for sharing his beautiful classic 1959 Chevrolet Apache as our Great Oklahoma Classic for September 2013!